Shirdi Sai Baba Temple Information. 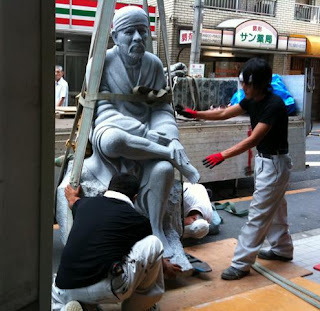 : First Shirdi Sai Baba Temple In Ikebukuro-Tokoyo-Japan . 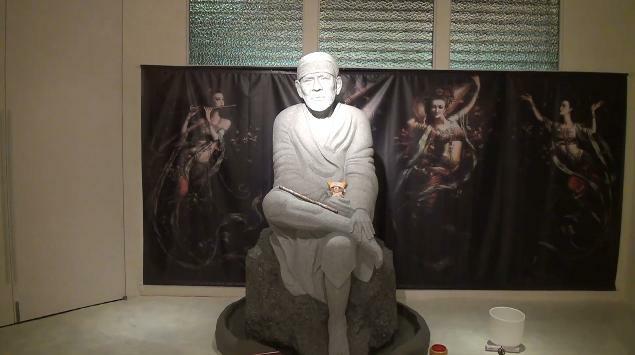 First Shirdi Sai Baba Temple In Ikebukuro-Tokoyo-Japan . 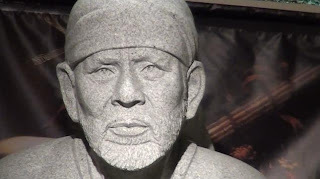 Few days back we came to know about the First Shirdi Sai Baba Temple in Japan.With Baba's grace I could gather more details and insight about this blessed temple directly from the temple authority .The details are all jotted below and I am sure many devotees would benefit from this detailed information .Those who are in Japan can visit the temple personally and those who have relative or friends/colleague can be told about this Blessed temple.Thanks to Kiyotaka Aiuchi and Kaco Aiuchi for proviidng with all the details given below by them to me through e-mail to be shared by all the devotee across the globe.Jai Sai Ram. Bongaren Shirdi Sai Baba Temple-Ikebukuro-Tokoyo -Japan. Bongaren Temple is the first Shirdi Sai Baba Temple in Ikebukuro-Tokoyo-Japan. "BONGAREN' means Brahman=Atman mastering Lotus. 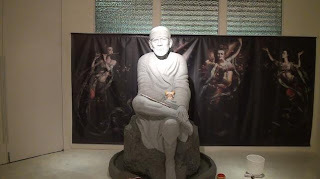 It is the very First Shirdi Sai Baba Temple in Ikebukuro"Tokyo, Japan.The Incantation of the Life Size Idol of Sai Baba was done on 25th Aug'2010 (Full Moon Day) by Mamosasugyou, after the sacred Fire-Puja. 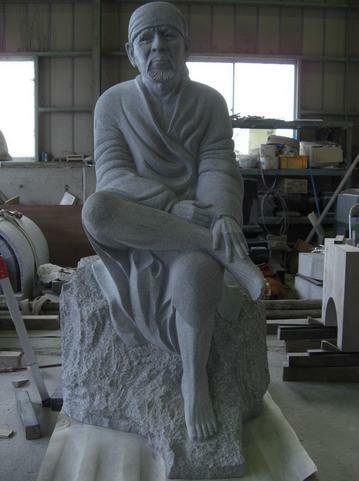 This Idol of Baba is made of Pure White Granite G633 which is mined in the Hyogo Prefecture Kobe City Mikage town in Japan.Standing at an Height of 190 centimeters and weighing 3 tons, it is beautifully sculpted by craftsmen in Japan. An Idol of big "Shivalingam", "Mother Divine" and "Kalachakra" are also enshrined. On the Ceiling a "Mandala or Yantra" is drawn. 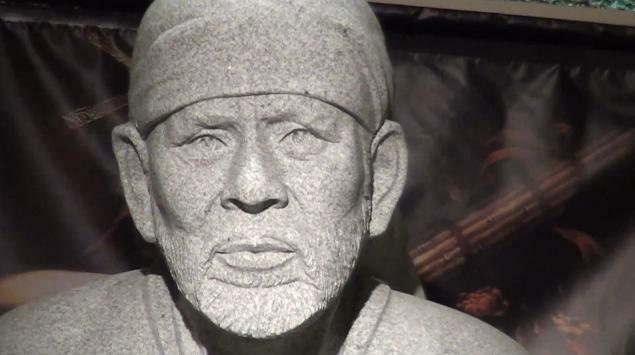 Bongaren Religious Organization, is a Shirdi Sai Baba temple in Tokyo, Japan . We, husband and wife, have had conversations with spiritual beings since our childhood.We were born in the same season in the same year.We are twin souls separated from a single soul in the era of ancient Egypt.We are also peers who had spiritual exercises together under an old Sadu in India. We traveled East and West for spiritual exercises, and Esoteric Teaching in India was the greatest. 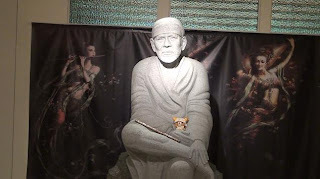 We learned various things and received Buddhist power from the old Sadu.Of special note is that the old Sadu introduced us to Shirdi Sai Baba.Since then, conversations with Shirdi Sai Baba have continued to this date. Shirdi Sai Baba is crazy, powerful and one-of-a-kind. :-) At first, he would answer, “Think more with your head!” to whatever questions we asked.Curiously, we’ve been able to get answers after thoughts since he told us so, which makes us a bit frustrated (laugh).But he fulfills our wishes before we know . Shirdi Sai Baba has taken care of us and accommodated us with what we need.We have never been pinched for money and food thanks to Shirdi Sai Baba.Now, he has become a good advisor or a spiritual mentor who gives us methods of spiritual practice. One day, Shirdi Sai Baba made a request from us for the first time.”Build a place to surrender yourselves to a God at the center of your country! 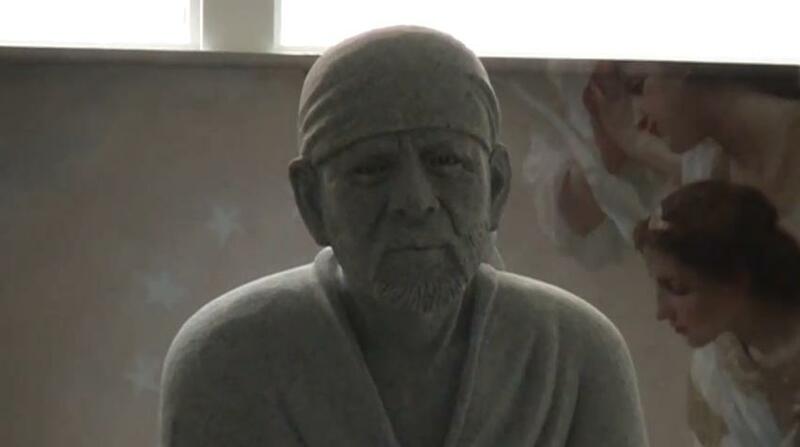 Enhance people’s spirituality!”We asked, “Can we enshrine a god other than you?” Then, Shirdi Sai Baba answered, "Any god above a certain level will do." We are naturally perverse.If Shirdi Sai Baba had told us, “Build a place to surrender yourselves to me,” We would have refused (laugh). 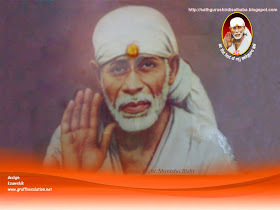 We selected Shirdi Sai Baba as the principal image because he said any god would do. 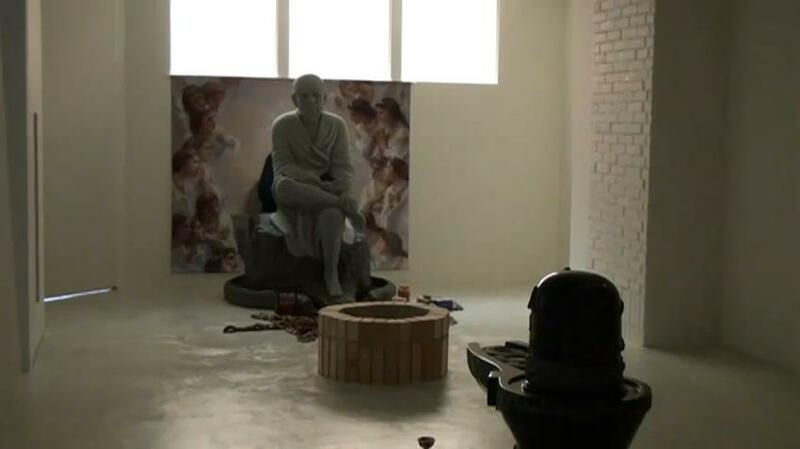 :-) And we enshrined a statue he especially liked. 1. A statue of Shirdi Sai Baba, which is 2 meters tall (sitting) and one of the largest statues carved from a stone. It is carved from the best white stone in Japan by a top sculptor. 2. A 1-meter-tall, special statue of Shiva Lingam, in which masculinity and femininity are fused. 3. A 1-meter-tall statue of Kalachakra, the final Buddha of Indian Tantric Buddhism and a couple deities. 4. We were told to display pictures of celestial maidens and Mother Divine for goddesses. 5. The founders of three major religions, Jesus Christ, Buddha and Muhammad, are enshrined to overcome the religious barriers. 6. A pagoda preserving a real bone of Buddha is also enshrined for Japanese people, many of whom are Buddhists. 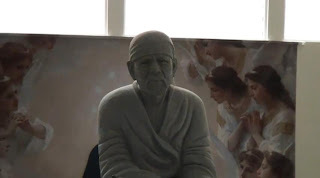 We built a Shirdi Sai Baba temple "Bongaren" in Tokyo, the center of Japan, in cooperation with many people.This temple will be spread nationwide because local people want it. ”Bongaren -Spiritual University-“ means "Brahman-Atman mastering lotus (disciplinants).”it is more than a simple worship facility to practice what Shirdi Sai Baba says “Enhance people’s spirituality!“ It is a key university for spiritual exercises on the themes of ancient mystery and modern mystery in addition to Eastern exoteric and esoteric Buddhism. These themes are the hearts of spiritual exercises and the integration of the exercises brought about by gods and Buddha. Bongaren is an exceptional place for learning, solidarity and friendship for the Brahman-Atman mastering lotus. Bongaren is a nonsectarian religious corporation authorized by Japan.In other words, we are priests certified by the nation. This means that we can spread the surrender to Shirdi Sai Baba to Japan nationwide.Our good luck is thanks to the help of Shirdi Sai Baba. 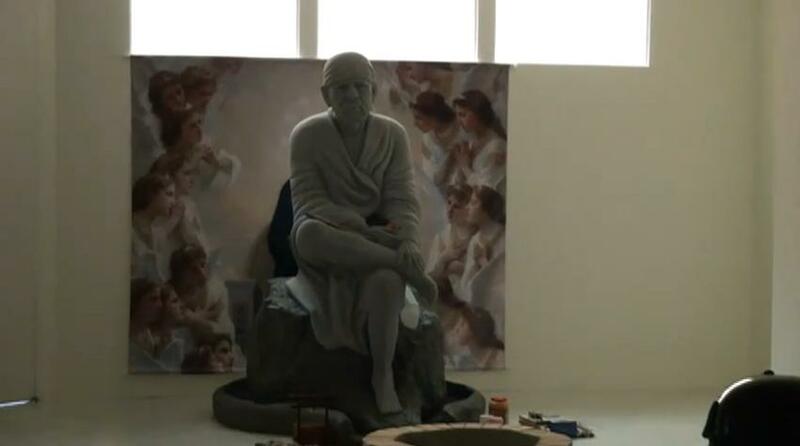 Next, we hope that India will certify our temple.It is extremely sad if our temple is not certified in India, the home country of Shirdi Sai baba, although it is certified in a foreign country of Japan.Our dream now is to have our temple authorized by the temple in Shirdi and the trust to be an official Saibaba temple.This is also a wish of Shirdi Sai Baba.Your cooperation is greatly appreciated. 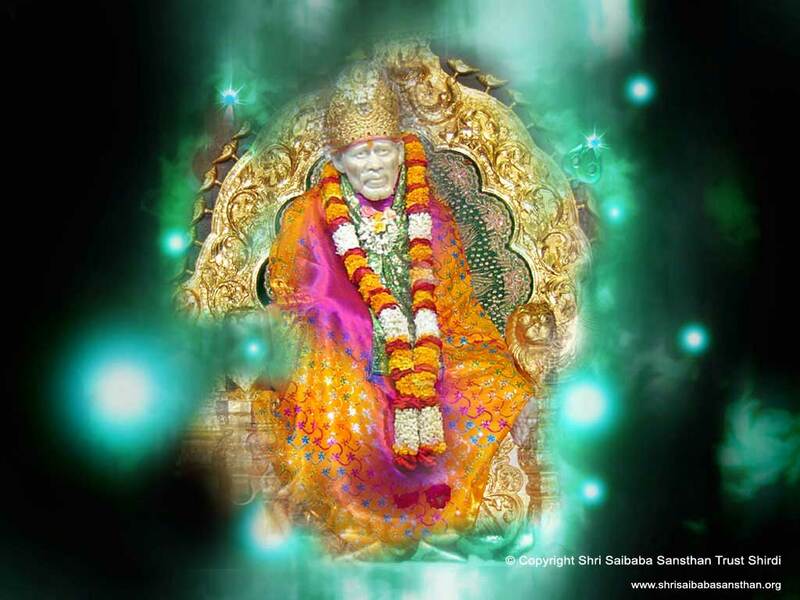 We would like to spread the love of Shirdi Sai Baba more! May Shirdi Sai Baba bless all! 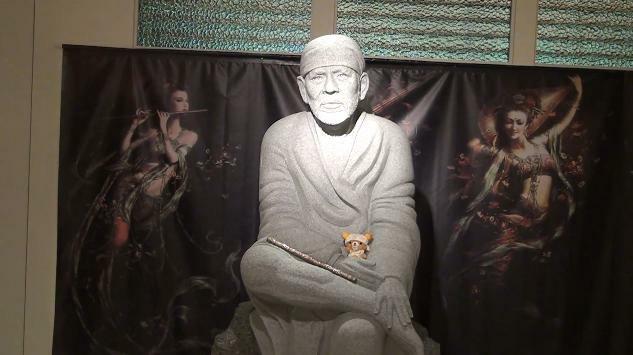 President & CEO, DivineSoul Inc.
Pictures Of Bongaren Shirdi Sai Baba Temple-Ikebukuro. 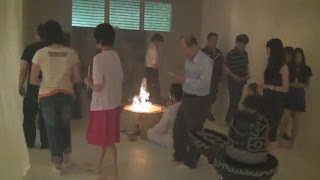 Fire Puja Before Sai Baba Idol Incantation. Contact:Kiyotaka Aiuchi & Kaco Aiuchi. Religious Organization Guru & "DivineSoul Inc."
Very nice to see this. 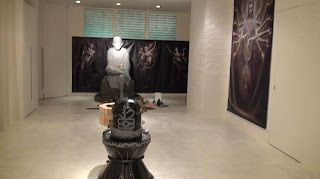 Where there is devotion, Baba resides there.Thanks for posting. Thanks for the message.I agree completely with you .